Handyman's Special! Diamond in the Rough! Don't let the exterior take you by surprise! 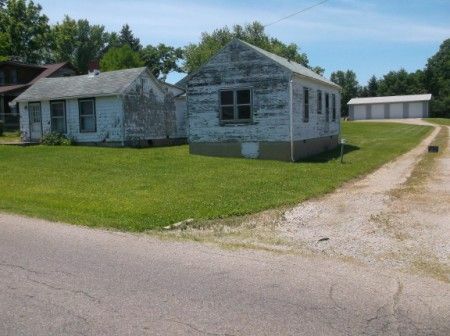 2 Bedroom * 1 Bath Home in need of TLC with a wonderful location * Collector Cars * Tools * Car Parts * SCAG Lawn Mower plus more! If you are looking for a beautiful location on the Hill, this is it! 2 Bedroom 1 Bath Home equipped with 100 AMP breaker box, some yellow pine wood floors; Mr. Fix It Special in need of TLC, Renovations were in progress prior to the passing of the late Mr. Cox; the outside does not do the inside any justice with natural woodwork! Also, this nice mostly level lot offers buildings for your choice of storage/collecting and more, an apx. 24' x 30' 2 story block garage with overhead door,concrete floor, electric service, wash sink & steel eye beams with rolling trolley's for hoists, 2nd story for storage w/ 2 rooms; As well as, at the rear of the property is situated the apx. 60 x 40 pole barn with 4 bays with apx. 11'11" overhead doors, walk-through door, concrete floor and insulated ceiling & buried electric service. -1979 Dodge Van 200 (Chillicothe Cruiser) this is one of a kind with murrels of Ross County Historical Site Scenes! Van Conversion equipped with A/C, Cruise, AM/FM, A-Track, Automatic, Sleeper Sofa. 1 owner van with 12,595 miles showing. - 1992 Buick Road Master Limited 4 door, Quarter Vinyl Top, White in color with pin stripe, Blue Leather Interior, Front split bench seat, Power Everything, Showing 103,483 mile, Wire Spoke Hub Covers. -1962 Chevrolet Biscayne Black in color, straight 6, 4 door, Automatic, Showing 11,101 miles, Vinyl seats teal in color, SHARP CAR! -1953 Chevrolet 3100 Pickup, Blue in color 3 window, 6 cylinder, 2 owner vehicle with 49,432 Original Miles Showing, wood bed, Standard on the column, Repaint Factory Color, you will be hard pressed to find a cleaner vehicle! -Rolling Chassis 4 door 8 window hardtop Sedan 1934 Chevrolet Style #34-559, Body #N13177, Trim #38, Paint #: 162. -1934 Plymoth Street Rod Fire Engine Red! 2 Door, Leather Interior, trunk, V8, Headers, A/C, Suicide Doors what a sweet car! 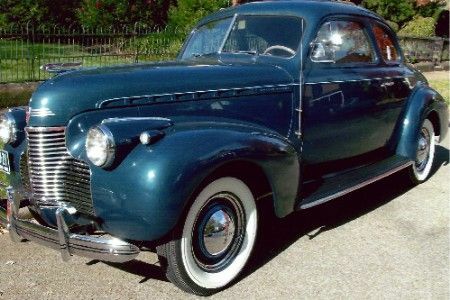 -1940 Chevrolet KH Master Deluxe 2 door previously owned by Don Ringwald, trunk, Standard 3 Speed on the column, 6 cylinder, deep blue in color, white wall tires, style # 40-1527, Body # F2820, Trim # 97, Cloth Mo-hair style interior, AM/FM radio, clock, backseat great interior!See future auctions. Tools: Saw Horses; Garden Cart; LINDSAY Sand Blaster; Gas Weedeaters/Trimmers; Central Machinery 49" Pan & Box Metal Break/Bender; Pull Type Wagon; Powermate Generator 4000 Watt on carrier Briggs & Stratton 8 HP; Roll-A-Round Stair Case. Lawn Mowers: SCAG Tiger Cub Zero Turn Mower with dual fuel tanks, Kawasaki 19 HP; Showing apx. 125 hours, apx. 48" Cut, Head Lights SUPER CLEAN MACHINE! ; Lawn Boy Push Mower; Wheel Horse Riding Tractor Chassis no motor/deck. Real Estate Terms: Min. Bid $30,000, $5,000 down cash/check at time of sale with photo ID, balance & possession at closing on/before Oct. 13, 2014, offered free & clear prior to closing, Sold As-Is, No Buyer's Contingencies exist. Personal Property Terms: No minimums or reserves; Cash or check w/photo ID payment in full at time of sale prior to removal; sold as-is. Taxes & Legal: Ross Co. Auditor reports Annual Net Tax: $1,125; Parcel 305143004000; Vol. 213 Pg. 745; Joy Cox, Owner, J. Jeffrey Benson, Attorney.